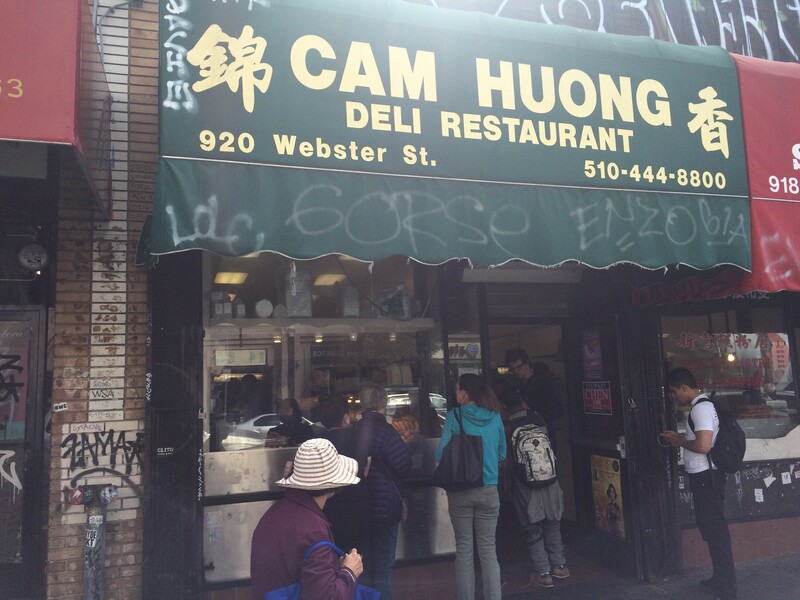 Cam Huong is one of the last Vietnamese sandwich shops in Oakland Chinatown. 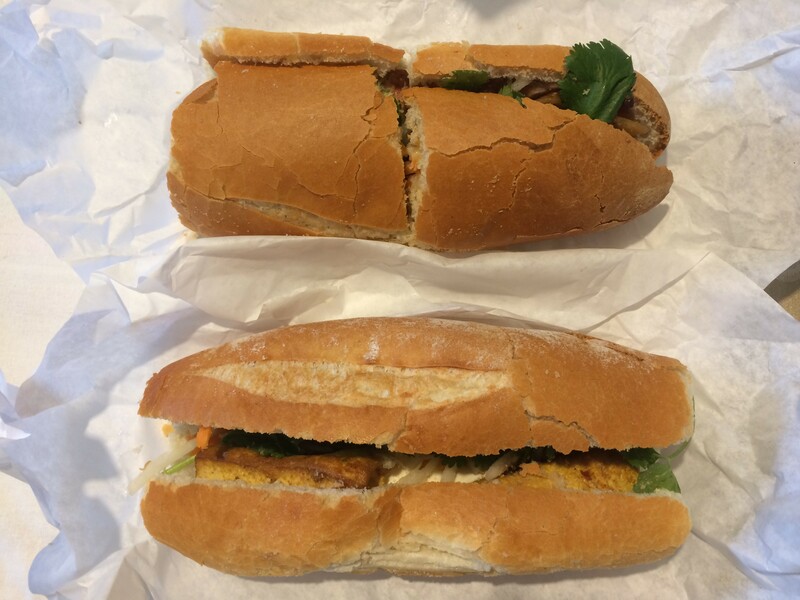 Cam Huong (920 Webster St., Oakland), a popular banh mi shop, is closing today after 33 years in business. The shop has been open since 1985, and is one of the last Vietnamese sandwich shops in Oakland Chinatown. Besides its popular Vietnamese sandwiches, Cam Huong also serves hot food, Vietnamese coffee, and fruit smoothies with items like jackfruit and avocado. Their sandwiches, which are a full meal, range from $3 to $4.50. In an interview today, the son of the shop’s owner (who didn't want to give his name) said the family decided fairly recently to close the shop. Their lease is up the end of this month, he said. The reason for closing is not because of rent increases — though rent has increased over the years — but more so to allow the matriarch, who runs the shop and is in her 70s, to retire. Oakland Chinatown was a hub for Chinese immigrants for more than a century, but later in the ’70s and ’80s, refugees from Southeast Asia — particularly from Vietnam — settled in Oakland after the war in Vietnam. Many families, some who are ethnically Chinese from Vietnam, opened businesses in Oakland Chinatown. (Cam Huong’s family members are of Chinese and Vietnamese descent). Cam Huong has a larger, second location (referred to as the restaurant) in the Eastlake neighborhood (702 International Blvd., Oakland), which will remain open. Cam Huong's sandwiches, which are a full meal, range from $3 to $4.50. Editor's note: A previous version of this story misstated the number of years Cam Huong has been open: It's 33, not 38. This version has been corrected.